Home / Automotive / News / Indycar Reveals A New Concept For 2018!! IndyCar released the universal aerodynamic kits all competitors will use in 2018, and it looks significantly refined and it is rather beautiful. From 2018 all racers will use the new aero kits but teams will be able to select between Chevrolet and Honda engines. 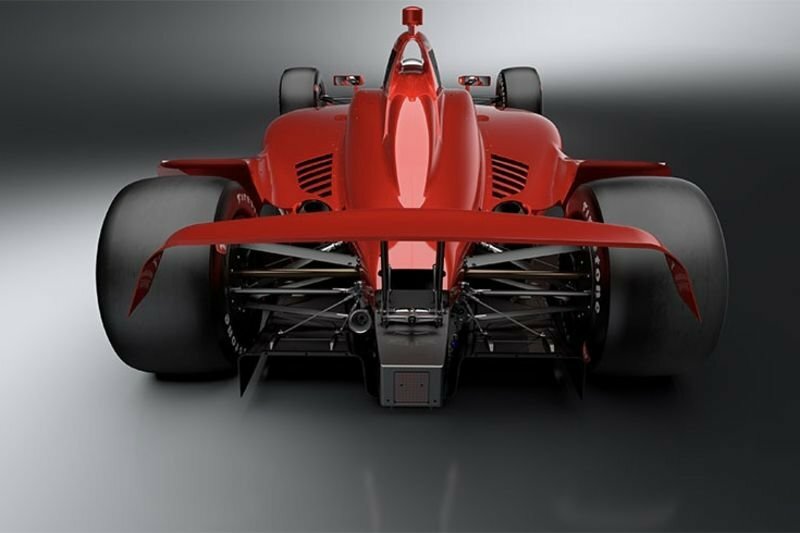 The new aero kits will be fitted to the Dallara IR-12, and the first aero kit, that can be seen in the images, will be used for superspeedway races and will feature simplified front and rear wings that will offer appropriate levels of downforce without creating a drag. The aero kits are still in their concept stages and will need to be finalised before production begins. Take a look at the images here!